A marketing flyer from Barking Dog Design Group will be discussed by the Dewey Economic Development Authority Tuesday evening. 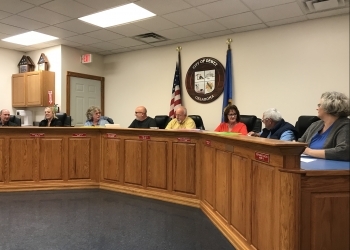 The authority has been talking for a few months now about the development of a flyer that will help bring businesses, tourists and workers to Dewey. Barking Dog Design Group has been mentioned in the last two Dewey Economic Development Authority meetings to move forward with the marketing flyer. In other business, the authority will discuss their mission statement further. This has also been an item up for discussion that has been tabled in their last two meetings so the authority can think about the mission statement.